Foreign Waters: Where are all the Aliens!! Well we couldn’t miss the opportunity to go to Roswell. The town famous for the first UFO landing in 1947 and the massive cover up (maybe) by the US Government in the many years that followed. Interesting fact on our way to Roswell we drove through Clovis, the beef capital of the world…lots of cows and very smelly. We went to Roswell in the hope that we would find our own little pet alien and maybe a UFO to gain as the ultimate shuttle vehicle. What we did find was a relatively normal town that just happens to have a UFO Museum and a few cafes and the odd shop cashing in on the phenomenon. We did find a beautiful state park called Bottomless Lakes to camp the night before our Alien hunt. 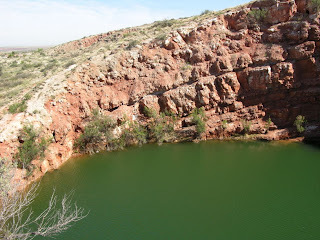 The Bottomless lakes is out there, relatively unattractive at first.. but take a closer look and it hosts beautiful aquamarine lakes hidden by rock walls. Created millions of years ago by underground water flows the rock ceilings eventually caved to reveal the lakes to the open air. The lakes host an abundance of fish. While the park itself hosts numerous animals and during our stay we heard coyotes fighting, owls hooting, Saw huge beetles, a road runner and a large 4ft coach whip snake..bright green and very fast. 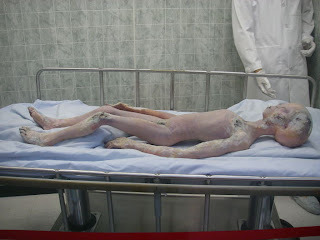 So back to Roswell and we visited the UFO Museum, primarily dedicated to the 1947 incident. Sadly we left Roswell with no pet alien. 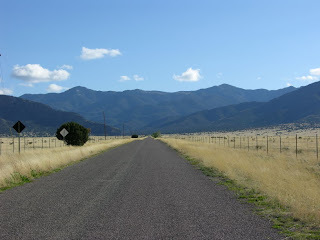 On our way through New Mexico we realized we would be able to head through Socorro, the burial site of our good Friend Linda Weiss and home to her parents. With help from John G, We were able to contact Linda’s parents Bill and Nancy and pay them a visit. 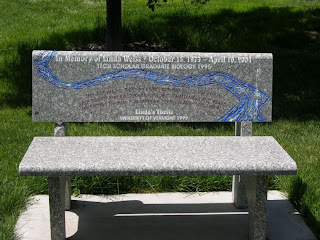 We also visited Linda’s grave and bench dedicated to her at the local Tech college. Our stay in Socorro led us to another state park high in the mountains (N.M terrain goes from complete dessert to high lush mountains). We camped at about 6500 ft and it was very cold!! 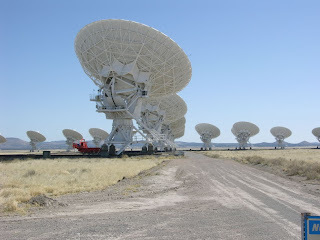 27 miles from this lush area took us to a large flat plateau, which homes the VLA radio Telescope. This amazingly interesting place was a pretty neat find. 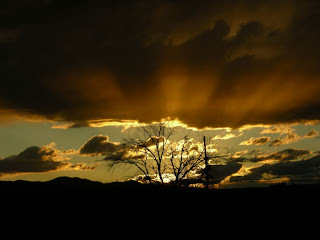 It also featured in the film Contact with Jodi Foster. Santa Fe came next. 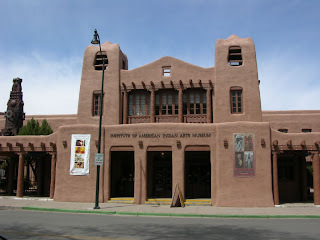 A cute city which is built in typical Mexican style of Adobe architecture and centered around the traditional plaza. Where today still many locals sell their wares. The city hosted an unbelievable amount of galleries and jewelry shops sadly out shadowing the local market plaza. It was at this point we made the decision not to continue north in our quest for paddling. It seemed the ability of getting a shuttle on the river and the quickly dropping levels would be against us…so west we are heading to Fire and Ice.